This delicious Cabernet Sauvignon is from the Moss Wood winery in Margaret River in Western Australia – a region which produces approximately 20% of the country's premium wines. Colour and condition are deep, brick-red hue in bright condition. Classic, bright mulberry, cassis & plum fruit notes, sitting over the generous complexity of cedar, leather, chocolate & tar. The structure is firm, with bright acidity and long, round tannins, that provide good concentration and texture but allow a finish that isn’t gritty or drying, more powdery and pencil shavings. Drinking well now but recommend 10-15yrs cellaring time. As with great Cabernets this will pair well with savoury meat dishes with a little fat content, like marbelled steaks, a Florentine style is perfect. Also older, hard cheeses as well a the signature Stilton. 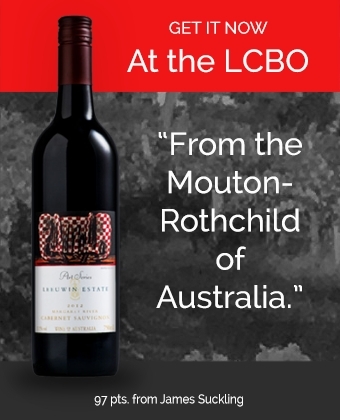 Now available at the LCBO stores across Ontario, for a limited time.